Some nations have creation myths that describe or account for their founding: Romulus, Remus, she-wolf. Others have creation myths that describe or account for their writing system; dream-inspired scripts are very much part of this mythos. It’s possible to go one step farther and combine these mythologies and find evidence of the belief that the birth of civilization and the birth of writing are so inextricably connected that writing is seen as an essential, even a defining element of civilization. It can be argued that the story of Moses ascending Mount Sinai and being given the Ten Commandments written on stone tablets is a similar archetype: the creation of writing is divine, and has the effect of turning a wandering rabble into the basis of a civilization. 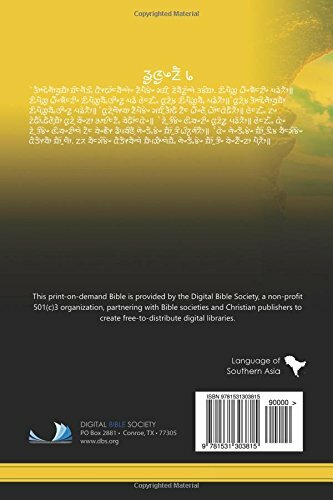 The Sirijonga alphabet, used for writing the Limbu language, neatly combines these threads in a creation story in which a fragmented and warring kingdom is unified and saved by the creation of an alphabet. Although Limbuwan is now a state of Nepal, for centuries it was an independent nation. Historically, it was made up of ten Limbu kingdoms, which also encompassed territory that is also now part of northern Sikkim in India and western Bhutan. Each of the ten kingdoms had its own territory, its own king, and its own fort. Late in the ninth century, King Sirijonga Hang of Yangwarok kingdom rose to power, subduing all the independent rulers and taking over as the new supreme ruler of Limbuwan. He built two big forts, one of which still stands. According to tradition he was responsible for another construction that stood the test of time, and unified all ten Limbus: the Kirat-Sirijonga script. According to Limbu folklore, he prayed to the goddess Saraswati for wisdom as to how to devise a script for his people, and in response she revealed the story of creation to him, written in the script. The mythic or archetypical quality of this story is reinforced by the fact that, having apparently done its job, the script vanished. But its disappearance seems to have had an Arthurian waiting-to-return quality, for some 800 years later, during a time of tension and upheaval in Sikkim — in other words, just when it was needed — it was reintroduced by the Limbu scholar Te-ongsi Sirijonga (believed to be the reincarnation of King Sirijonga), in the early to mid-eighteenth century. He researched, revived and taught the Kirat-Sirijonga script, collecting, copying and composing Limbu literature, teaching Limbu language and the importance of Limbu history and cultural traditions while at the same time preaching openness to other cultures and knowledge. In 1925, Iman Singh Chemjong, a Limbu scholar, named the script after Sirijonga, who had laid down his life for its preservation and promotion. 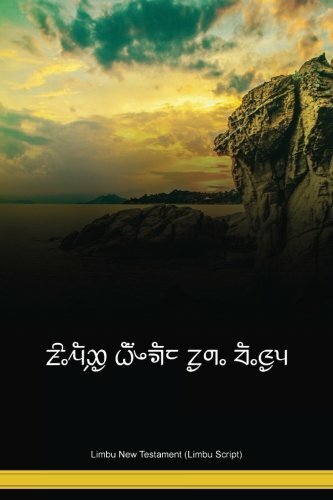 Today Sirijonga is an active but vulnerable minority script. 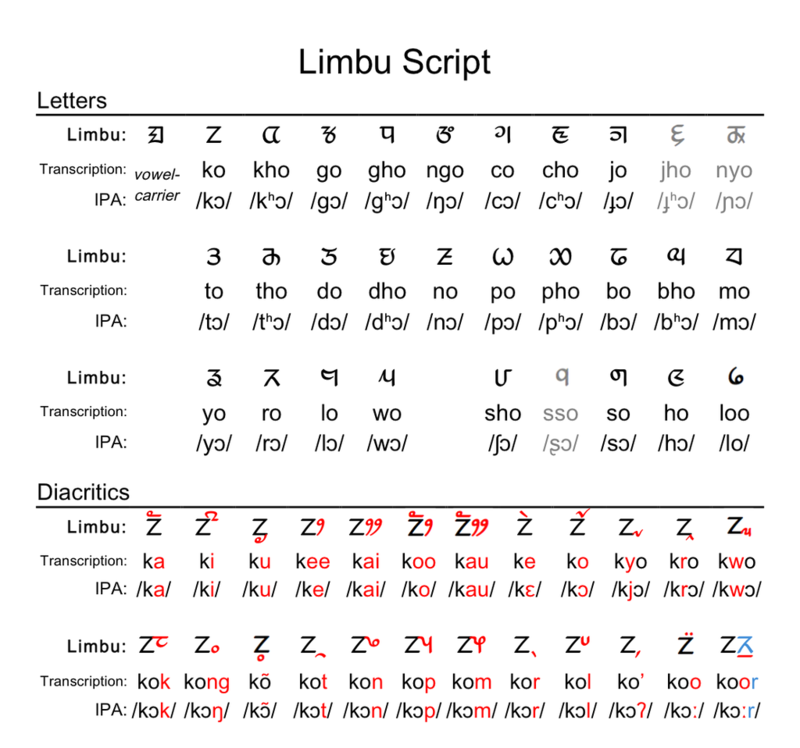 Since the late 1970’s, Limbu, in the Sirijonga script, has been offered in the English-medium state schools of Sikkim as a vernacular language subject in areas populated by Limbus. Over 4000 pupils study Limbu for one hour daily, taught by more than 300 teachers. Course books are available for classes 1-12. In Nepal, the script is taught more sporadically as a private initiative. A Limbu newspaper has been published somewhat irregularly in Kathmandu since 1995.